Enjoy your holiday break in beautiful Oakham and Rutland. The largest man-made lake in western Europe, Rutland Water offers something for everyone. The stunning 3,100 acre reservoir has an international reputation for providing a balance of sport and leisure facilities and wildlife conservation and it offers everyone the opportunity to try something new. 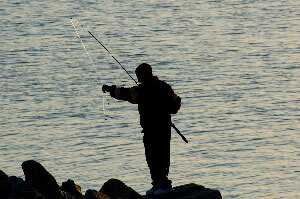 Expert fly fishing tuition, guided trips and coaching can be obtained on a daily basis during the trout fishing season. Rutland Water’s Visitor Centre is a treasure-trove of fascinating information about the reservoir, its habitats, the birdwatching centre, Osprey project, events and other activities. Miles of traffic-free pathways on the edge of Rutland Water. There are hire facilities offering everything from mountain bikes, tandems, kids bikes, trailer bikes and buggies. Sailing and Windsurfing is really big on Rutland Water! 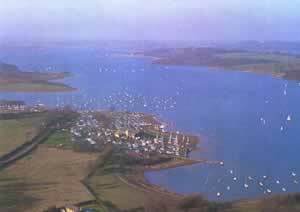 There are a number of regattas each year which attract some of the top professional sailors and windsurfers in the country. 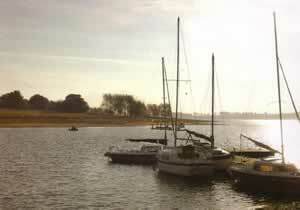 The place to launch from and hire equipment is Rutland Sailing Club at Whitwell. 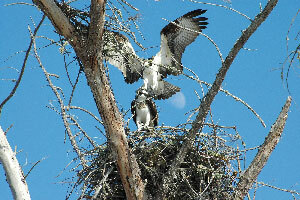 Rutland’s premier Outdoor Adventure Centre located on the north shore of reservoir. This fine church was saved during the construction of Rutland Water and is now a museum. 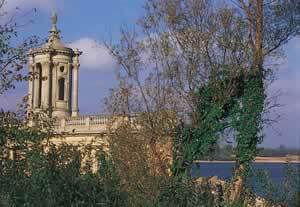 Registry wedding ceremonies also take place at the church on the banks of Rutland Water. More activities and places to visit around Rutland Water can be found on the www.anglianwater.co.uk leisure pages. Oakham is a pretty, traditional English market town, bustling with activity and just three miles away from Manton. Packed with heritage, there’s plenty to see and do in Oakham with library, museum, a wealth of independent shops, several well-established cafes, restaurants, tea rooms and pubs and an ancient castle, making it an ideal place to spend the day. Oakham’s ancient Public School with its stunning architecture is a major landmark in the town. Founded in 1584 it is still a highly regarded seat of learning and has seen its fair share of famous pupils. Uppingham, like Oakham, is known for its public school. Uppingham is just three miles from Manton Lodge and is well worth a visit. 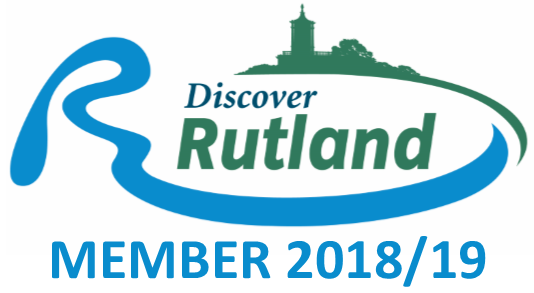 Rutland’s smaller market town boasts a wealth of history and something for the all shoppers with a host of excellent shops, including a well-regarded antique centre. The wonderfully preserved and beautiful Georgian town of Stamford, a popular location for period films and TV shows, is just 10 miles away, sitting in the shadow of Burghley House, one of the finest Elizabethan mansions still in existence. The splendid Great Hall of Oakham Castle is one of the finest examples of late 12th century domestic architecture in England. 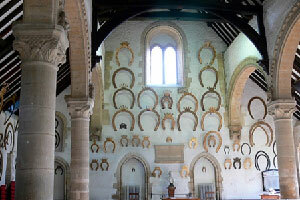 The hall provides the clues as to why there is an intriguing collection of over 200 horseshoes hanging from the walls. The Golf Club is just 5 minutes away with stunning views over Rutland Water. 9 and 18 hole courses, pay as you play basis. One of the finest examples of 16th century architecture and situated beside the medieval coaching town of Stamford. The house has more than a hundred rooms, while outside there is a Capability Brown designed Deer Park and gardens. Other external features include the Garden of Surprises and Sculpture Gardens. Each September, Burghley plays host to the famous international horse trials, which sees top-class event riders and their horses arriving from all over the world to compete. Steeped in history this castle provides educational tours, including an audio visual of the “Castle Under Siege”. The Stamford Shakespeare Company present an annual season of plays in June, July and August at Rutland Open Air Theatre in the grounds of historic Tolethorpe Hall, at Little Casterton, just off the A1, two miles north of Stamford. The stage is set in an enchanting glade. Tolethorpe Hall has origins going back 800 years to the early 11th century! The Museum is located in Oakham and houses a rich rural life collection from Rutland – historically England’s smallest county. The Horse & Jockey pub. The Horse and Jockey, within a six minute walk from Manton Lodge, is an award winning free house. Offering all the charm and character of a traditional country inn, there are open fires, stone floors and low beams along with a wide choice of fine wines and real ales. With parts of the building dating back to 1200, Manton church is very quaint with its double bellcote and honey coloured stone. 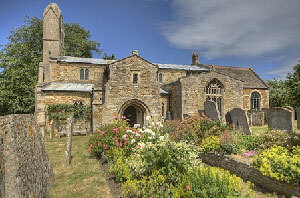 It has a pretty small churchyard, with beautiful flower beds and well-kept lawn, flanked by attractive cottages. The church has 13th, 14th and some later 15th century architecture to enjoy. It has a chancel, nave, north and south aisles, north and south trancepts and a south porch with a chamber over.